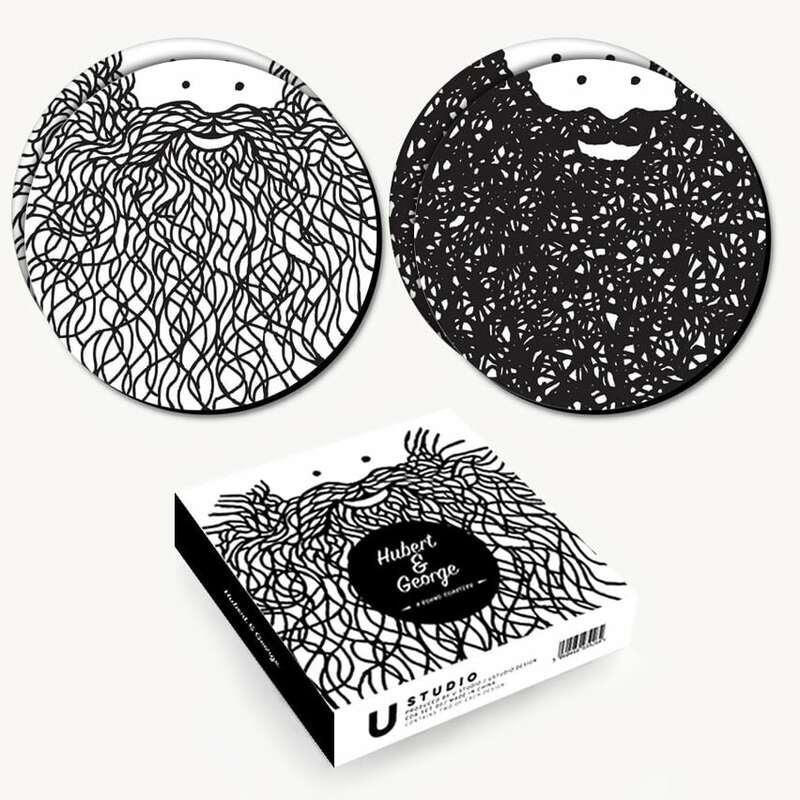 Meet Hubert and George the beardy friends created by illustrator Phil Jones. This set of 4 coasters offers 2 of each design in a high quality illustrated gift box. The coaster box will be carefully tissue wrapped by the team at Mustard Gift Shop. Weight: 0.2Kg. Size: Dia 10.5 x H 2cm.